A huge part of Ramadan every year is the breaking of fast at the end of every day. Known as 'Iftar', this religious observance during Ramadan is often done as a community, with people gathering to break their fast together. What better way to spend Iftar then, than with your friends and family at one of Dubai's many, many restaurants and hotels across the city? Especially when your Iftar can be less than 50 Dhs each with these Cobone vouchers. Enjoy your meal amidst the exotic jungle with an iftar buffet at Rainforest Cafe in the world's largest mall. Opt for an iftar buffet for 1, 2, 3 or 4 adults - with a choice for kids between 6 to 12 for AED 25, too! The iftar buffet includes Arabic dishes and Ramadan drinks to enjoy! Not forgetting - you'll enjoy the great views of the Dubai Aquarium during your iftar at this great location. Cherish the Holy Month this Ramadan and break your fast with an Indian and Pakistani iftar buffet at one of Chicken Tikka Inn's five locations across Dubai. For just AED 37 per person, you'll enjoy a variety of snacks and salads, various main courses, BBQ items, rice dishes, assorted breads, various desserts and unlimited iftar drinks and water. There's even a family room available to hire so all of your relatives can join in! Treat the entire family with a delicious iftar at Al Salam Grand Hotel in Sharjah this Ramadan, it's just AED 49 per adult - and for kids between 6 and 11, it costs only AED 25. The buffet includes over 30 delicious dishes of international cuisine, desserts, soft drinks and Ramadan drinks. PLUS, access to the hotel's swimming pool is also included! Perfect to enjoy during the higher temperatures nowadays. Enjoy an Arabic or Italian themed iftar set menu at La Grotta Italian Restaurant in the Al Khaleej Palace Hotel in Deira for just AED 49 this Ramadan! Both set menus come with unlimited juices and dates - and if you opt for the Italian menu, try one of their famous wood-fired pizzas! Feel blessed this Ramadan and head out to an Indo-Pak iftar buffet at Karachi Haleem & Biryani Restaurant in Bur Dubai or Deira. The deal includes a complimentary welcome drink, a.k.a 'Rooh Afza', and the following; soup, appetisers, salads, curries, naan and kulcha, rice dishes, BBQ, fish BBQ, Chinese dishes, desserts, traditional iftar items and fresh fruits. The restaurant offers great indoor seating, with a separate family section too! Enjoy an authentic dhow cruise experience this Ramadan with an iftar dinner buffet on a 2 hour dhow cruise along Dubai Creek for just AED 39 per person! Revel along Dubai Creek with spectacular views of the city's skyline, as the 2 hour dhow cruise includes the following; welcome drinks and starters, continental iftar dinner buffet, unlimited soft drinks, mineral water, tea and coffee, soft music and a Tanoura dance plus a puppet show or horse show! One the cruise you'll also spot some of Dubai's best tourist attractions, including; the Dubai Museum, Al Bastakiya, Dubai Chamber of Commerce Ruler's Court, National Bank of Dubai, Sheikh Saeed's house, Heritage Village souq, the textile souq, spice souq and gold souq. Satisfy your sweet tooth for iftar this Ramadan and enjoy some value vouchers on food and drinks at the Sugar Factory Restaurant in City Walk. For AED 59, you can enjoy a value voucher worth 100 and there are other options available if you want to enjoy a sweet iftar with the whole family. The voucher is valid for all food and drinks, and the restaurant's menu includes appetisers, burgers, soups, kinds of pasta, sandwiches, grilled entrées, wok dishes and pizzas. Break your fast for just AED 15 with this delicious iftar box from Mother's Restaurant in Discovery Gardens! The iftar box includes one chicken biryani, or vegetable biryani, raita, assorted pakoras, one juice or laban, dates and fresh fruits and salad. This deal is valid for takeaway only. 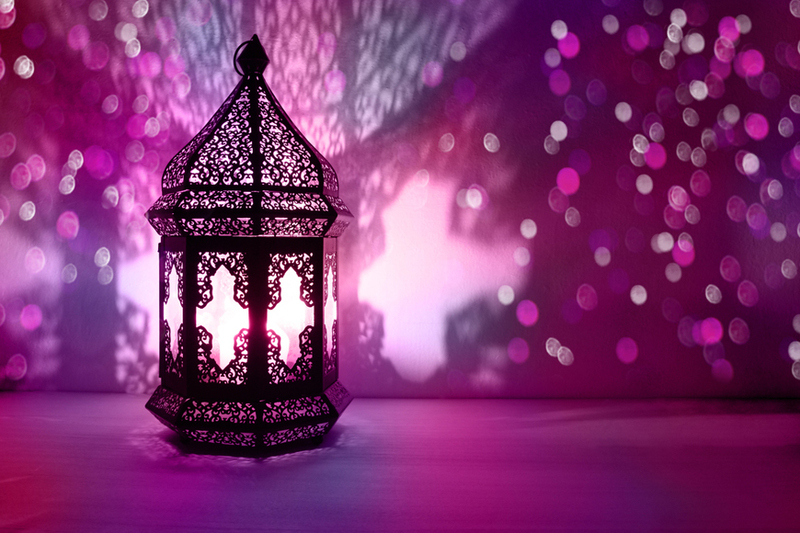 Head to Grandeur Hotel in Al Barsha to enjoy a lavish iftar buffet for just AED 39 per person! Unlimited Ramadan drinks are included, as well as soft drinks and water, dates, fresh fruits, starters, main course, bread baskets, desserts and condiments. Sit down and enjoy a delicious spread of multiple cuisines this Ramadan at Elements Restaurant in the Ivory Grand Hotel Apartments, Al Barsha. For just AED 49 per person, dine-in and enjoy their iftar spread at the mult-cuisine restaurant. The menu includes starters, soups, salads, main-courses, rice, breads and desserts. Dates and juices are included, too!